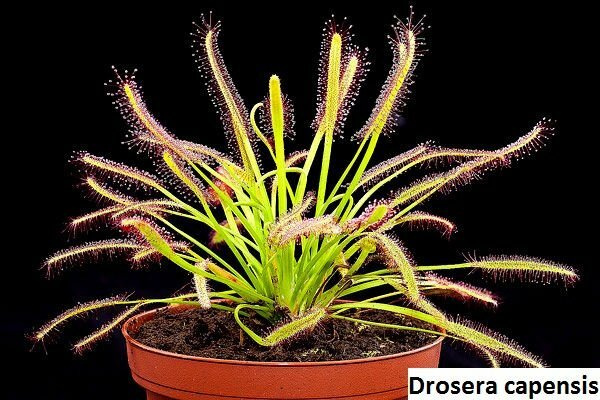 Drosera usually grows on sour swamp soil, so if you’re going to care for it and its growth, you should provide it with at least some similar conditions. You’ll find the much needed sour soil in white peat or “sphagnum” peat. 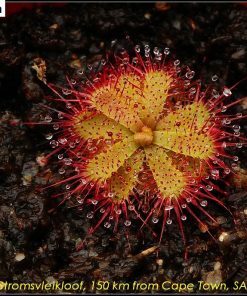 Drosera will be able to grow properly in this peat. If you’re unable to get a peat like this, you can use another with a higher sourness level, but you need to find one that’s completely free of additives. The right substrate to use when planting a plant like this is a mixture of white peat and perlite in 50:50 proportion. Before planting, you need to additionally wash the peat with rainwater or distilled water. This can be easily done by pouring distilled water in a bucket and then adding and mashing the peat in the water. Afterwards take the soaked peat out from the water and let it decant, then move it to another bucket and repeat the whole procedure a couple of times with clean water. This step is important because it stops algae occurrence and bacteria that could completely destroy the seedlings or slow down the growth. Move the wet peat to containers you will use for seeding. You can use any containers you have. 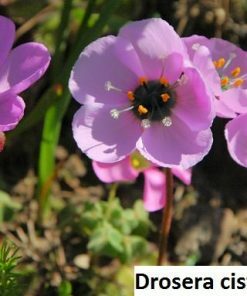 They don’t have to be deep, it’s enough if the container has about 1.20 to 1.60 inches (3-4 cm) peat. The seeds of this plant are extremely small (depending on the kind), so you have to be very careful during the whole planting process. You should plant a larger amount of seeds into one container (for example, in 2×2 inches (5×5 cm) container, you can put up to 30 seeds). 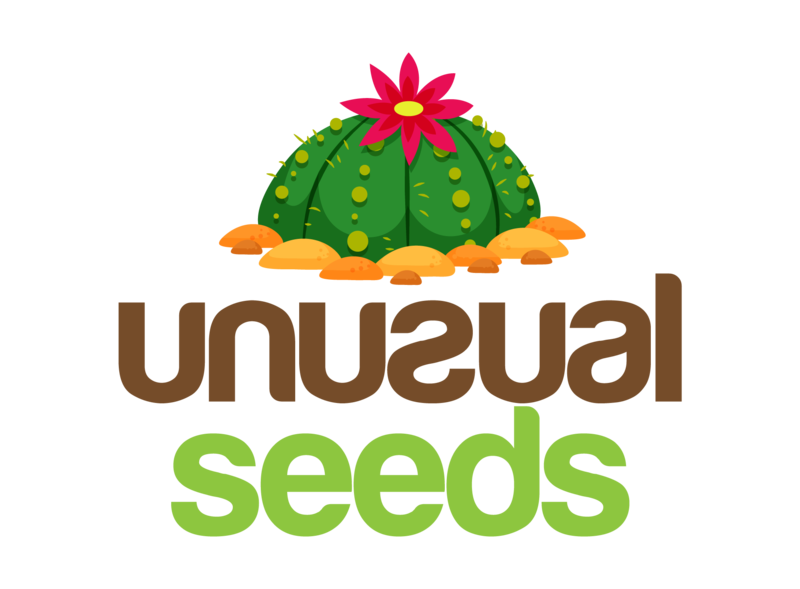 Be careful and leave a bit of space between the seeds because if they end up being right next to each other, they can turn out to be stunted. You shouldn’t cover the seed with another layer of soil. After you plant the seed, spray the seed and substrate with a sprayer, but make sure that you’re using distilled water. It’s extremely important that the peat is never let to completely dry off. That’s why it’s for the best to cover the dish with some kind of a transparent glass, foil, bag or something like that. Put the container with the seed into a shallower container and pour distilled water in it, until the water reaches about 0.4 to 0.8 inches (1-2 cm). The temperature needed for the germination process is between 68 and 77°F degrees (20-25°C degrees). When it comes to light, you need to provide an ample amount of it to the plant, but you need to be careful and NEVER expose the plant to direct sunlight. In order to avoid this problem, you can use artificial light, i.e. put the plant under the light of a lightbulb. If you overheat the seed, it certainly won’t germinate. Depending on the type of seed, it will start the germination process after 3 or more weeks. As long as most of the seeds don’t germinate, you shouldn’t open the container. Afterwards, ventilate it for 10 minutes a day, every day. You should completely open the container when all of the plants in it have at least a couple of leaves. 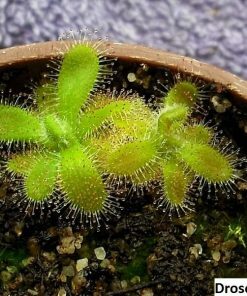 You should protect the container with the seedlings from direct sunlight and maintain the moisture of the peat which shouldn’t be let to dry off completely for a few weeks after germination. When the seedlings achieve the diameter of 0.7 inches (2cm) and when the space they’re in becomes too small, you can repot them into separate containers. 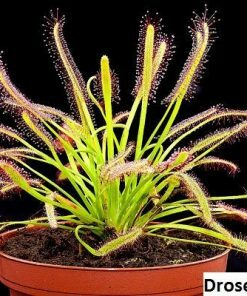 Place: Most of the kinds of this species need to be held in shade, while there are some kinds that can endure strong sunlight (for example, Sarracenia rubra or Dionaea muscipula). These are room plants and can spend summer outside, however, you can’t treat them as garden plants. Substrate: The base for a healthy life and a good development of these plants must be sour. White peat is ideal for such a thing. You can even use some other peat without any additional fertilizers or minerals. You can add perlite to this peat, but it’s not necessary to do so. Watering: These plants need their peat to be moist at all times. You should water it only with rainwater or distilled water because regular tap water contains minerals which kill the plant. Watering the plant shouldn’t consist of spilling the water on the plant, but submerging it into the water. The plant container must have a saucer for water and it should be deep at least 0.4 inches (1 cm). Topdressing: You shouldn’t top dress these plants. They attract the insects on their own and by doing that, they obtain all the food they need. Wintering: It’s for the best to keep the plant near the window during winter, in a room temperature of 50-60°F degrees (10-15°C degrees). Water it less during this period. It’s completely normal that the plant dries out or loses a couple of leaves during winter. Repotting: The plant can stay in one container for many years. It’s usually repotted when needed, i.e. when the current container becomes too small for it.